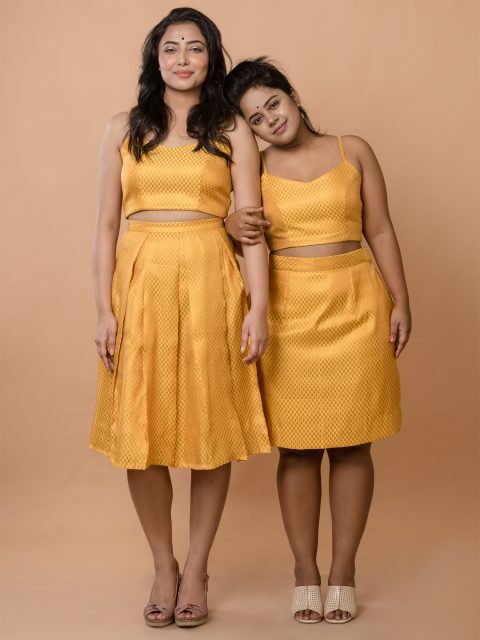 If you are not fond of tube skirts, our mustard yellow crop top with our mustard yellow pleated midi skirt will be perfect for you. It’s a super flirty and an extremely cute co-ord set. You have so many options of styling this outfit, starting from pairing it with sneakers and sunglasses for a brunch look, to putting on your favourite pair of strappy heels for an evening out. It's a perfect day to night outfit. The Brocade design motif might not be exactly similar to the image. There will be no return/exchange on customised products. 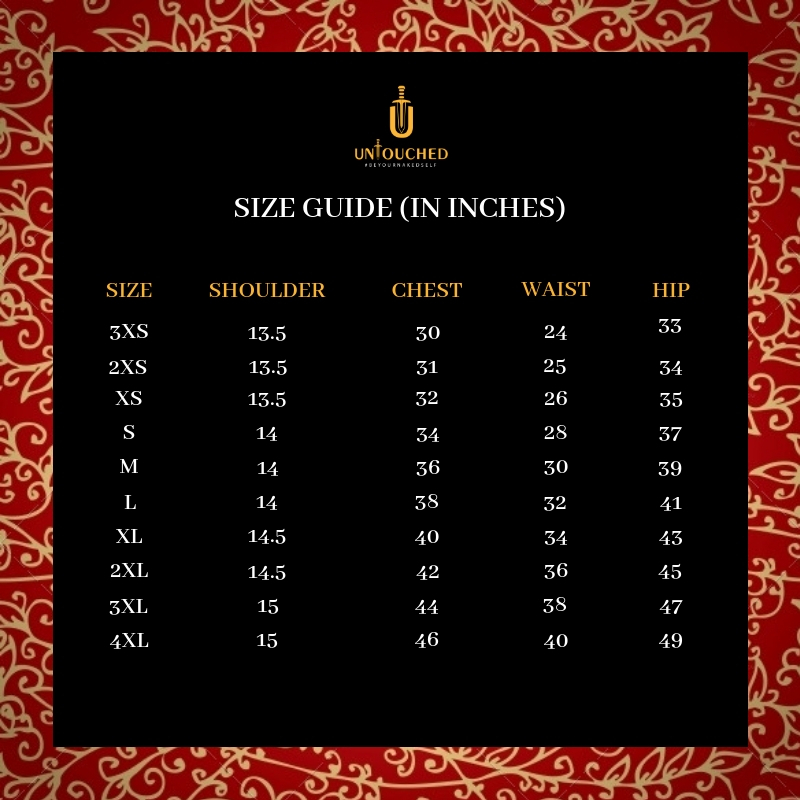 In the case of exchange, send a mail to email@beuntouched.com within 48 hours of receiving the product with an image of the product. Please ensure that the item(s) is in its original packaging and that there is no wear/tear. Any item that shows signs of wear/tear, won't be eligible for either returns or exchanges. All original papers delivered with the product are expected to be returned with the product itself. In case of return, store credits will be offered to the customer and no cash backs. You are lovely. We are glad you landed here. So glad that we would like to give you a small gift. Get INR 250 off on your first order for any apparel of your choice. We are extremely sorry but it's not valid on accessories.